Driving Directons to Delta Truck Parking - 8468 Airway Rd Otay Mesa, CA. Turn left at the flashing traffic light at Airway Road. Drive for about 7oo feet on Airway Road. 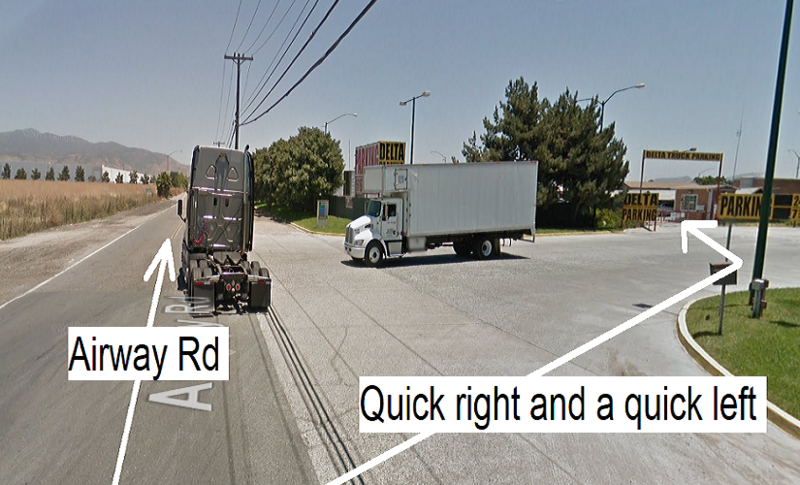 Make a right turn at a local “service” road that provides access to Delta Truck Parking and other local shops. You should be able to spot our big, yellow parking sign on the left side. Refer to the image and map below for more details.